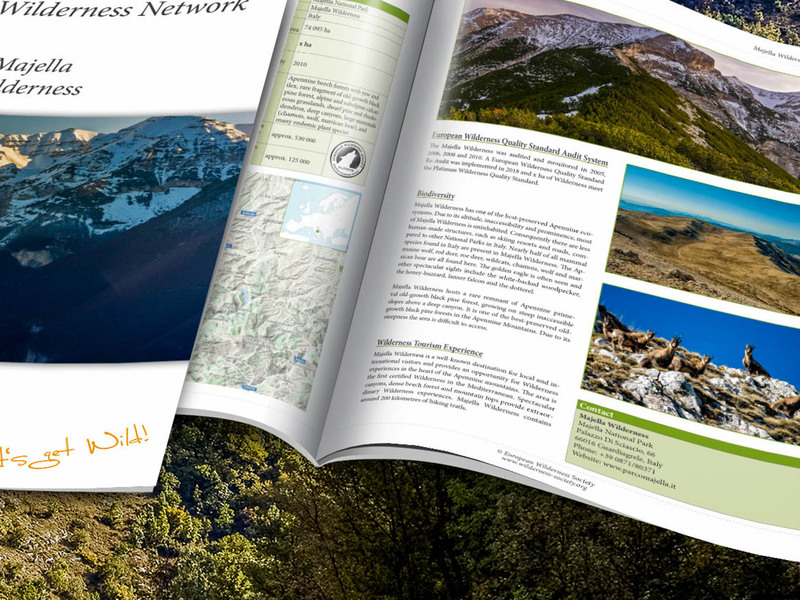 Majella Wilderness - New Publication! Majella Wilderness – New Publication! In September 2018, the European Wilderness Society conducted a Re-Audit of Majella Wilderness, Italy. Our Audit Team spent several days in Majella National Park assessing both the quality of the Wilderness, and the quality of the Wilderness Stewardship. In light of this new assessment, we are publishing an updated version of the Wilderness Brief for Majella Wilderness. Majella Wilderness was first audited in 2005, and was a PAN Parks member until PAN Parks transferred to the European Wilderness Network. The area represents some of the finest wild and naturally rewilding mountain and forest ecosystems in the Mediterranean. Majella Wilderness also has a high biodiversity hosting numerous rare, endangered and endemic species. For example chamois, Marsican brown bear, golden eagle and many wolf packs reside in the Wilderness and National Park.